NOTE: Because of the heavy nature of sands. These sands will be shipped out via the most economical way, which may be UPS Ground or USPS, but will normally be USPS priority flat rate. 100% premium grade aragonite reef substrates expressed to you all the way from the South Pacific Ocean! Excellent for use in marine, cichlid, and freshwater aquariums. Composition - Composed of pure aragonite flakes, calcareous algae, juvenile seashells, coral fragments and other marine organisms. Highly rich in calcium, magnesium, strontium, carbonate and other trace elements essential for the growth of fishes, sps and lps stony corals, crustaceans, and all other aquatic organisms. No Impurities - Each batch of Tropic Eden Premium Grade Aragonite Reef Substrates is carefully gathered, processed and inspected at the sites of collection, and thus is completely free of any impurities or harmful materials. Precisely Graded - Three steps of expert sieving to even sizes, completely sorted into well defined aragonite flakes and grains. Benefits - Maximizes Filtration Capacity. Enormous surface area and internal space houses large Quantities of beneficial nitrifying/denitrifying bacteria and millions of microbes. Massive buffering capability ensures a stable alkalinity and pH level at around 8.2 in seawater and cichlid aquariums. Quickly creates a natural biological balance which discourages the growth of nuisance algae. Easy to Use - Ready to use, minimal rinsing required. Handy Hint - To start setting up an aquarium, first add substrate to the aquarium for a depth of about 3 to 6 inches depending on the particular setup. Then place a dining plate on the sand bed. To fill water to the aquarium, pour water right onto the dining plate in order to avoid agitating the sand bed. Direction to Use - Before placing the sand in aquarium, gently rinse it with clean water a few pounds at a time until water turns from murky to clear. Then place sand in aquarium. 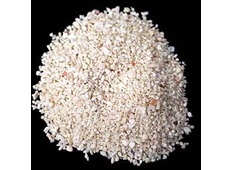 Tropic Eden Premium Grade Aragonite Reef Substrates are TRUE marine originated aragonite. Unlike calcium carbonate oolite which forms at the interface of cool and warm oceanic currents, Tropic Eden's aragonite reef substrates consist of REAL calcareous algae, juvenile seashells, foraminifera shells, coral fragments, and other marine calcareous organisms. Because these materials are the remains of marine organisms, they contain all of the essential elements necessary for the growth of marine organisms. A sand bed using Tropic Eden's aragonite reef substrates greatly helps achieve a natural biological balance in aquariums because the substrate materials, in a self-regulated manner, continuously deliver a complete array of trace elements and buffers in a naturally correct proportion, replenishing any loss over time as well as diminishing any pH fluctuation which is highly unfavorable to fishes, corals, and all other aquarium inhabitants. Tropic Eden Premium Grade Aragonite Reef Substrates also provide a natural habitat in sand bed which largely enhances nitrification and denitrification facilitated by benthic bacteria and other sand bed microbes. The natural coral reefs are profoundly important to the earth. They have been existing in the ocean for thousands of years. In comparison, they are the tropical rainforest in the ocean because they are the home and the major food factory for countless number of marine organisms, including mammals, fishes, invertebrates, crustaceans, corals, free-swimming planktons, and many filter feeders. In a coral reef ecosystem, an important foundation is a very thick layer of substrates composed of various calcareous materials, possibly a few hundreds meters in depth, which underline all rocks structures and anything living above. The super thick sand bed, in fact, may be divided into distinctive layers distinguished by sand grains of different forms, shapes, sizes and composition. The separation of shoals of unique sand forms are the result of the natural forces like currents, winds, and the characteristics of the organisms that predominate in the area. At Tropic EdenT, we only select the highest quality of reef sand that exactly matches the requirement we need. We pay great attention to selecting the specific forms of the reef sand we collect. Hence, we have the sugar sized reef sand DeepSea AragaSnow, Tonga Pink Sand, Tonga Mesoflakes, Tonga MiniFlakes, Tonga Reeflakes which look very much like oatmeal flakes, and the original Tropic EdenT C.R.Media for use in calcium reactor as a great source of a complete spectrum of minerals and trace elements so critical for the growth of stony corals and all other calcareous organisms. These four are part of Tropic Eden's high quality natural aquarium products. 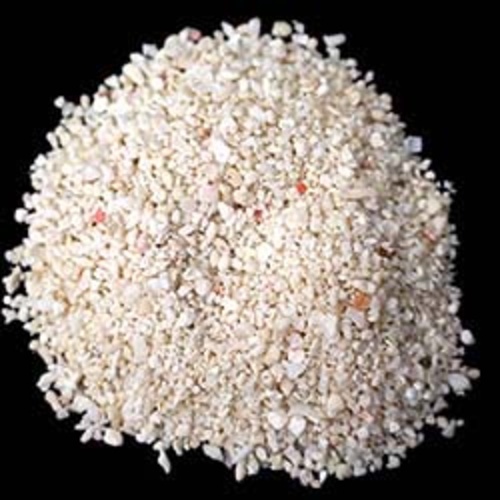 Very importantly, of course, we make sure that every load of our reef sand contains at least 95% of MARINE ARAGONITE, the material that is most suited for use as substrate in reef, marine, or cichlid aquariums. 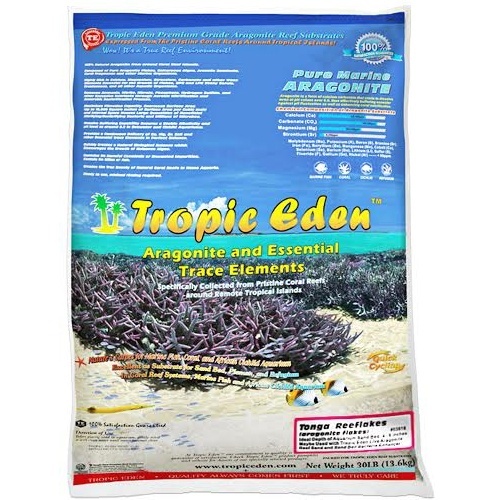 Tropic EdenT Premium Grade Aragonite Reef Substrates are TRUE marine originated aragonite, naturally formed by calcareous marine organisms, in the process of skeletal growth or the building of calcareous body structure. Aragonite is the material of choice for use as buffer in marine or cichlid aquariums, which counteracts any pH fluctuation that causes deviation from 8.2, the prime pH value of marine water in the natural coral reefs. Thus, aquariums with sand bed layer composed of Tropic Eden 's marine aragonite significant differ from aquariums that use relatively inert calcium carbonate materials or the calcite form of coral skeleton that usually stabilize at an exceedingly low pH value of 7.5 - 7.8, a highly unfavorable pH value to marine fishes, and all coral reef organisms.